With summer coming to a close soon, it may be time to consider a thorough inspection of your roof. Between record high heat days and the occasional intense storm, it’s possible your roof has undergone some strain and may even have some battle scars. To ensure your safety through the cold days coming, we thought we could help give you some key identifiers on how to prepare your roof for winter. There are multiple ways for shingles to come loose or get damaged. Spring and fall are the perfect times to inspect and look for any cracks, curling, broken, or missing shingles. If you have a chimney, check around the edges where the roof and your chimney come in contact and ensure there is no torn edges of shingles, or bubbles in the roofing. 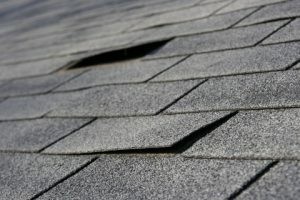 In the case that there are shingles missing, replace them immediately. When you spot damages like cracks, bubbles, or curling, call A&H Forensic Roofing and schedule an free inspection and we will draw up the best solution for you. Now on the brink of autumn, it’s important to pay attention to your gutters and downspouts. Make sure all debris, leaves, and built up dirt is cleared out. Take a hose and run water through all gutters and downspouts to ensure there is no blockage. If any build up is left, it creates the potential for foundation issues. By not flushing the water away from your home like your gutters are suppose to, it can cause it to accumulate near the foundation, where further moisture-related problems can ensue. 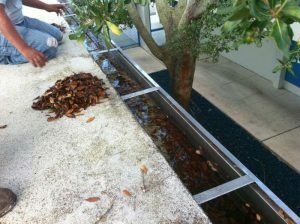 To help reduce unnecessary work, install leaf guards on your gutters to help prevent any more leaves build up. While cleaning your gutters, take note if you identify any shingle granules. They are one of the clear indicators of significant wear and tear. One of the most important aspects to look for regarding your roof are any leaks. Inspect your attic, crawl spaces, and garage to see if you can spot anything that looks like water stains or dripping. If you notice a potentially suspicious area, take note and check back once it rains again. In the incident there is a leak of any sort, be sure to call A&H Forensic Roofing right away. With our 24/7 Emergency service, we can send a team out in no time, at any time. For all of your forensic roofing needs, A&H is here for you! From roof repairs, to reinstalling, we’ve got you covered. Don’t wait until it’s too late to have your roof inspected and taken care of! Call today to schedule a free inspection.